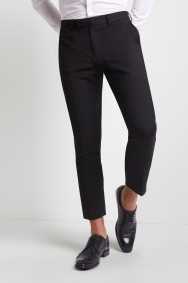 Classic black trousers with an on-trend update. 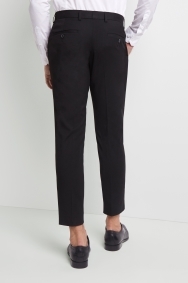 Cropped and skinny fit, these close-fitting trousers make the most of current trends and bring them to workwear. They’re designed to define your outline with stretch in the fabric, helping them to stay snug without feeling restrictive. The machine washable aspect makes them a really handy item to own. Pair with any shirt and jacket – they’re versatile as well as easy to care for. My brother tells me that they are very small and that they would be extremely uncomfortable. This is very ideal for someone who is quite muscular and struggle so to fit into the usual trousers, the stretch material fits perfectly and it is also very comfortable.